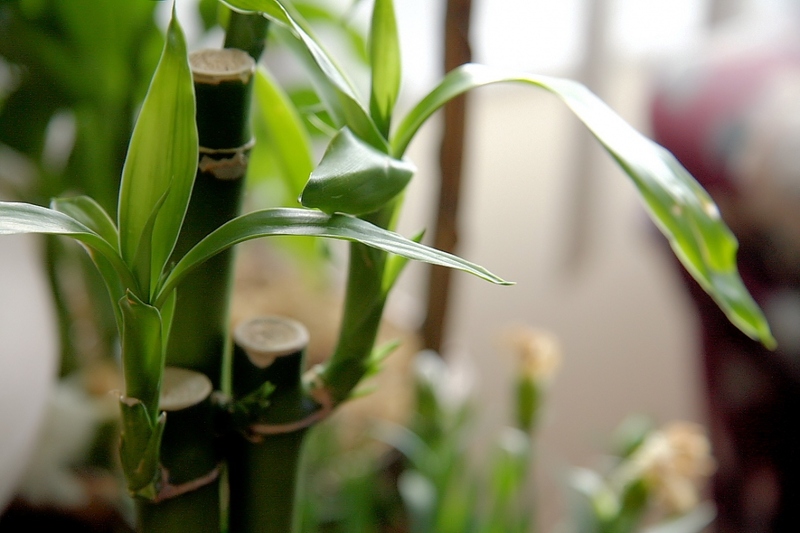 Lucky bamboo (Dracaena braunii): growing, planting, caring. A popular Feng Shui plant! Lucky bamboo - Dracaena braunii or sanderiana - a native to Cameroon in West Africa, is a widely popular plant, due to its ability to intertwine - no pun intended - eastern mysticism with western new age culture. It's usually grown hydroponically - in water - but it will live longer and more happily in soil, in a pot. Follow the guide ! You can grow your lucky bamboo in water - in this case, just a pro-tip : to keep it clear, leave a small piece of charcoal at the bottom of the pot or jar. But we'd advise to grow it in a pot! Growing it in a mix of garden soil and potting soil is the way to go. Use clay balls or gravel at the bottom of the pot to ensure good drainage. 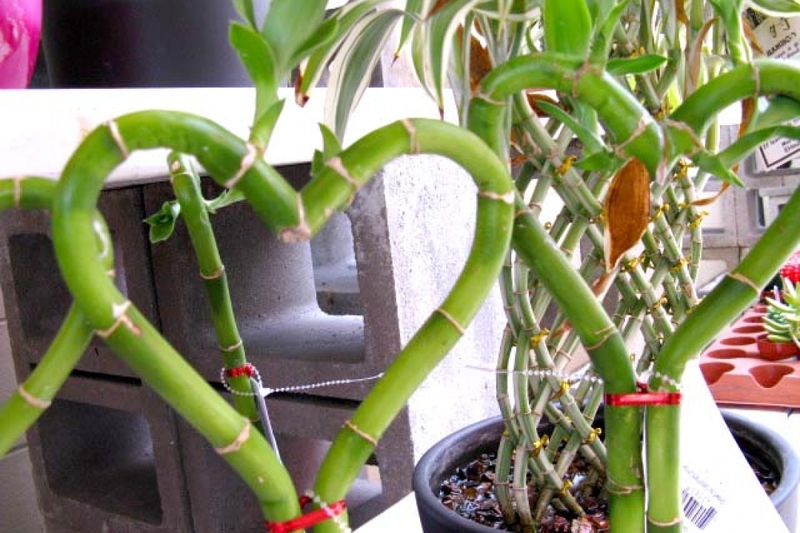 Lucky bamboos planted in pots and potting soil should not have their roots constantly damp: Let the substrate dry for 3 centimeters on the surface before watering again. In winter, one watering per week should be more than enough. For plants grown in water - check the level regularly, and change the water from time to time. In all cases, the plant is sensitive to chlorine that is usually found in tap water, which can result in yellowing of the leaves or browning of their ends. Let the water rest for a day in an open container before you use it allows chlorine to evaporate. At the end of winter every year, transplant your lucky bamboo in a pot slightly larger than the current, with a mixture of garden soil and potting soil. If it is too big for potting, just scratch the top soil and add a layer of potting soil.